True Story: I am a long time letter writer from way back in the 70's. I acquired my first pen pal in middle school aka Junior High. I started 7th grade at a school in rural Orlando, FL. By March of the same year my family moved to Oviedo, FL. Talk about country life. It was like being on an adventure in a Mark Twain novel. I became good friends with one of my classmates before we moved and we were soon having sleep overs and phone calls and letter writing. My second pen pal was a boy I met that lived right across the canal from us when we first moved to Oviedo. We lived in a travel trailer while my parents decided what kind of home they wanted to put on our 10 acres of land. The trailer was at a fish camp on Lake Jessup and the canal ran from the lake and down through the woods to who knows where. This family had 3 boys living at home. We had 3 girls and one boy at hour trailer. On one of our Sunday congregation meetings who do you think we saw. Those boys who rode our bus. My sister's and I were shocked to see them in our congregation. We pointed them out to our Mother and she went right over to introduce herself to their Mother. That relationship was the start of a life long friendship between their family and ours. They soon moved back to Maryland where they were from. But, their middle boy and I started a pen pal relationship. We are still friends to this day. So, never underestimate the power of a letter. It can be the start of something wonderful and last for a lifetime. Want to see what I started sending my friends this year? 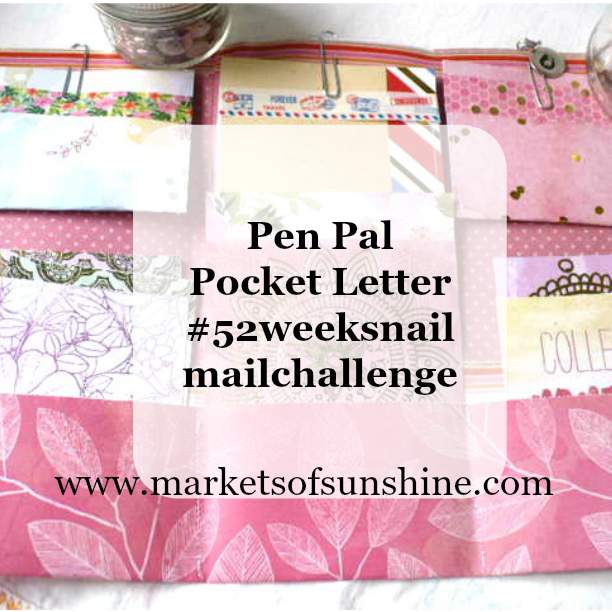 You'll find my #52weeksnailmailchallenge collection in my Etsy shop, Markets of Sunshine. Here are my top 5 picks of what to send your pen pal a letter in the mail that is fun and new. I use cursive writing. What font do you use? Colorful envelopes I make myself from pretty card stock. I don't include money but I do include other small gifts that I know they'll enjoy. 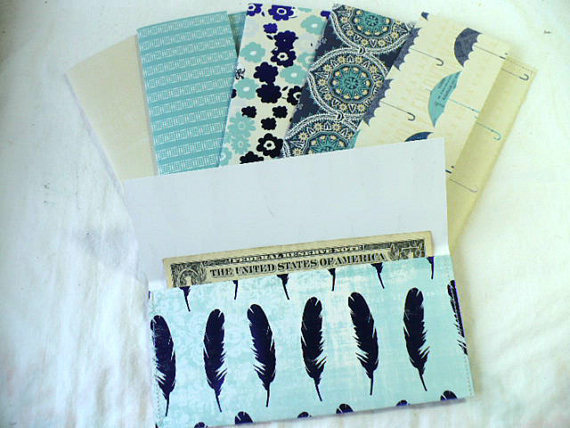 You'll find these pretty envelopes and more in my Etsy shop, MarketsofSunshine. This is my pocket letter style. I use a 12x12 piece of colorful card stock and make pockets at the bottom. I add small envelopes at the top and add little goodies in each one. Coming to my Etsy shop, MarketsofSunshine this Summer. Stay tuned! I covered a photo album with fabric and filled each pocket with blank cards. They can use them to write to their pen pal's. I include a few extra goodies I make like my bookmarks, key chains and hand stitched envelopes. I'll am planning a giveaway at the end of the year worth over $200 filled with handmade gifts from Etsy seller's. Jon my mailing list to be included in the drawing. Sign-up here. With this pen pal letter I make an envelope around the card. I call it a stuffed envelope. Start with a 12x12 piece of pretty card stock and start stuffing. You'll find this style in my Etsy shop, MarketsofSunshine. Coming Soon! I hope you enjoyed this tour of letter writing to your pen pal and my top 5 picks I use to send to mine. Don't forget to get in on the $200 worth of Etsy products you have to be one of my mailing list subscriber's. Sign-up here today!